Every weekend we have free tastings of wine and beer that give you a chance to explore the wide world! Come in this weekend and visit with us! Saturday afternoon, a time for chores and yard work and running to do all the things that have waited all week! Take a break! Come by the shop and sample new wines and microbrews that will be certain to bring a smile to your face. Just relax with friends and neighbors. Bright straw color. Fresh lemon, pear and honeydew melon on the nose and mouth. Silky and open-knit, showing good clarity and a touch of warmth on the supple finish, which echoes the melon note. 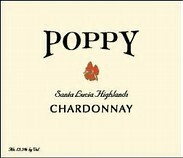 Blended from two different estate's pinot gris.Aroma is dominated by ripe fruit and flowers. Flavor is similar to a vidal blanc, with a slightly ripe finish and with a medium acidity. Great with light hors d'ourves! This focused, elegant Chardonnay’s aromas feature sweet golden apple, ripe citrus, tropical fruit and almond with touches of creamy yeast, vanilla and oak in the background. On the plate, the rich flavors are complemented by a light touch of toasty oak and refreshing citrus with mineral notes and bright acidity in the finish. 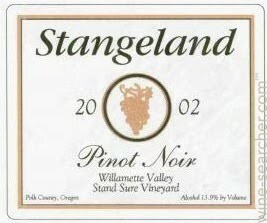 A textbook example of Willamette Valley Pinot Noir, Stangeland continues to set the standard for the region. Brilliant magenta. 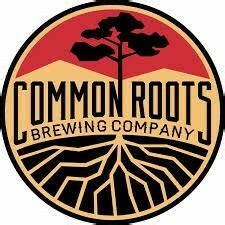 Musky, spice-tinged dark berry and cherry pit aromas, along with hints of licorice and cola. Plush and open-knot, offering jammy blackberry and cherry compote flavors that are sharpened by a suggestion of cracked pepper. Supple tannins come in slowly on the clinging finish, which leaves a suggestion of blackberry liqueur behind. It has the typical Silky texture you are used to with our wines. Has amazing depth & richness with blackberry, plum, cassis and earth notes followed by a generous finish and soft tannins. We added a little more Red Mountain Cabernet Sauvignon this year that was aged in the best french oak. Blend of Cabernet Sauvignon, Malbec, Petite Verdot, Merlot and a touch of Petit Sirah. Will age very well for the next 7-10 years. 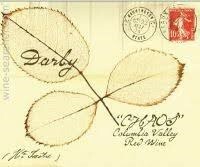 Our California Cabernet is a nod to Dante. Dedicating this wine, from the king of grapes, to our original boss just made sense to us. Like any king worth his salt, Dante was sure of his alpha status in the pack. Spencer didn’t even have to pat the passenger seat before he’d jump up and claim ‘shotgun!’ Lindsay was a good sport about sitting in the back. Like Dante, this Cabernet was born and raised here with true California pedigree. It is a luscious, juicy, fruit-centric wine, with a whimsical and punchy mouthfeel, layered with flavors of baking spices and clove. A pleasure to drink easily, anytime, with food or without! This generous Cabernet Sauvignon has a deep, inky purple color and is very ripe with blackberry and blueberry fruit. The palate is very concentrated with deep plum and pomegranate flavors which include some panaforte spices. Though the wine is very concentrated, it is balanced with acidity and its oak profile while ample is integrated. 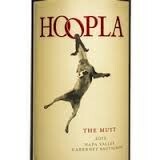 Overall the wine finishes ripe with black cherry, cassis and spices, very supple and silky and long on the finish. "I don’t know the exact blend of hops that have gone into this 6.5% ABV IPA, but I can tell you Papi Chulo carries a wonderful blend of tropical fruit flavors of mango, apricot, light melon, grapefruit and more. The brewery, however, hasn’t forgotten about what makes an IPA an IPA — the bitterness. At 54 IBU, the brew brings a solid hop bite to keep all of that fruitiness in check and reminder you this isn’t a fruit juice you’ve got in your glass. Not only is Papi Chulo and excellent IPA with well-rounded flavors, it also served as an excellent introduction to the Virginia brewery. 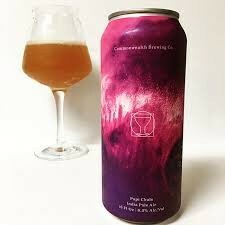 The beer certainly has that modern, tropical lean to it, but the company hasn’t forgotten to bring the bite to the party. Without that hop bitterness the IPA would still be pretty tasty, but not nearly as refreshing or tasty. I may have originally been on a mission to pick up some malt-forward brews, but am glad I found this tasty IPA, as well." Double Dry-Hopped American Pale Ale with light bitterness and a large juicy spicy and citrus hop flavor. Aged for three months in Wild Turkey® Bourbon barrels, this luxurious stout has a deep ebony hue and a beautiful mahogany head. The woody, vanilla-like notes imparted by the barrels mingle with aromas of fresh baked bread, toffee, and espresso and envelop the rich chocolate and roasted barley flavors with a fine bourbon character. Our exclusive partnership with Wild Turkey® gives us a world class, consistent source of barrelage, allowing our brewers to explore new frontiers in barrel-aged craft beer. Since its introduction, Wild Turkey® has maintained a distinctive distillation and aging process that gives it a smooth taste and a lingering flavor. They also use differentiated process whereby the bourbon is distilled at a low proof to seal in its flavors. Very little water is added to the bourbon, resulting in a full-flavored authentic taste similar to what one would get straight out of the barrel. Wild Turkey is a genuine drink with a sought after “burn” that comes from its high proof, an attribute fundamental to the brand and critical in maintaining its authentic bourbon characteristics.